During a divorce, spouses are required to work together to reach agreements on property division, spousal support (alimony), and other issues if children are involved. A divorce may bring a legal conclusion to a marriage, but after a divorce is final in the state of California, both parents will still have an equal obligation to provide financial support to their minor child or children. California establishes formal guidelines to help the courts determine the appropriate amount of child support payments that should be paid by a non-custodial parent to a custodial parent subsequent to a divorce. If divorcing parents cannot reach a mutually acceptable agreement and arrangement regarding child support prior to or during the divorce procedure, a California court will use those formal guidelines to impose a child support order predicated on each parent’s assets, monthly income, and the amount of time the child spends with each parent. The best interests of the child or children will always be a California court’s highest priority. If the paying spouse fails to comply, the receiving spouse can request child support enforcement through the court. In southern California, if you need to have a child support order modified after a divorce for any of these reasons, or if you need an attorney’s help to oppose a child support directive modification that your child’s other parent is requesting, obtain the legal advice and representation you need as quickly as possible by speaking with an experienced Orange County child support modification lawyer at the Bayati Law Group. 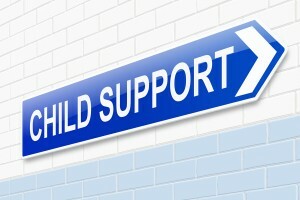 Parents should understand that modifications of child support orders are not retroactive in the state of California. For example, if you are paying child support and your ex-spouse’s income increases significantly, you may be able to have your support order modified and make lower monthly payments. But when your ex-spouse’s income increases significantly and you wait a year or more to act on it, you will not be reimbursed for any time period prior to the actual approval of the modification by the court. A family law attorney at the Bayati Law Group can help you with the modification of a child support order, but you must take the first step yourself. Nothing could be more important than your children and their needs. However, before a California court will modify an existing child support order, there must be not only a substantial change of circumstances, but there must also be evidence that a modification of the child support order is in the best interests of the child or children. California’s lawmakers and judges understand that everyone’s circumstances change over time and that child support orders frequently must be modified; nevertheless, the courts in this state will always place a child’s best long-term interests above all other considerations, and judges will not approve a modification of existing child support orders for any but the most substantial reasons. When you work with an experienced Orange County child support modification lawyer at the Bayati Law Group, we will make sure that you thoroughly understand your legal rights and responsibilities under the law regarding child support orders and their modification. Our lawyers will use all available legal tools and resources necessary on behalf of our clients, their children, and their best long-term interests. Parents and children may find the legal process of child support disputes to be inevitably challenging, demanding, and emotionally exhausting, but the legal advice and representation you’ll need is right here. The Bayati Law Group represents southern California parents by handling all legal matters related to child support disputes and to the modification and enforcement of child support orders. Speak to an Orange County child support attorney today to learn about your legal options. In the months and years following a divorce, California courts will modify a child support order only if a parent can show that the modification being requested is in the best interests of the youngster. When circumstances make a child support order modification the only realistic option for a parent, let a family lawyer at the Bayati Law Group advocate on your behalf. Nothing is a higher priority than your relationship with your child. At the Bayati Law Group, we exclusively practice family law, and we’ve been doing it successfully for years in southern California. Whether you need immediate legal representation regarding a child support order modification, or if you simply need reliable legal advice to help you plan for the future, an experienced Orange County family law attorney at the Bayati Law Group is available to offer an evaluation of your circumstances, to discuss the full range of your legal rights and options, and to help you make informed decisions for yourself, your family, and your future. It is our policy to treat every Bayati Law Group client and new prospective client with complete respect and extend every possible professional courtesy. We understand the crucial role of communication when providing high-quality legal services, so we promptly respond to client phone calls and correspondences, we explain your rights and the available legal strategies, and we report regularly to clients regarding case developments. If you are involved in any child support dispute during or subsequent to a divorce, please schedule a consultation appointment today to speak with an experienced family law attorney at the Bayati Law Group by calling our phone number, (949) 798-5700. Or, you can complete the form on the contact page of this site, where you will also find a map with an overview of driving directions to our office. The Bayati Law Group represents clients in child support, child custody, and visitation disputes and all other matters pertaining to family law in Orange County and throughout southern California.